Is 10,000 steps per day the right number to set as your daily target? You may wonder where that number came from and whether it is a good goal for most people. Does it really indicate that you are getting enough exercise for fitness, to reduce health risks, and to support weight loss? Why Is 10,000 Steps the Magic Number? A goal of 10,000 steps per day was created as a promotion by a pedometer company in Japan in the 1960s and it became popular as it was adopted by walking clubs. The number wasn't based on research—it just sounded good. Once the goal of 10,000 steps per day was established, researchers played catch-up and found it was a good indicator you were getting somewhere near the recommended amount of physical activity during each day to reduce health risks. 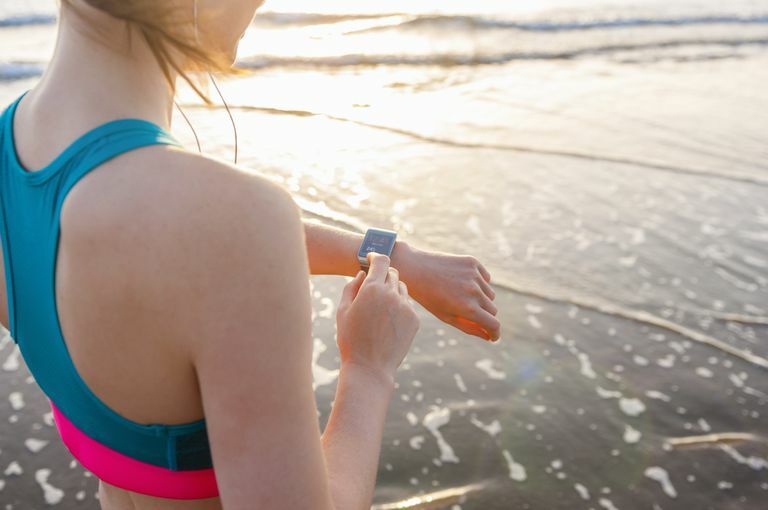 Now, many activity monitors and pedometer apps use it as a standard goal. Are 10,000 Steps Enough or Too Much? Many of the more sophisticated pedometers and activity trackers also measure whether the steps you take are brisk enough to meet the standard of moderate-to-vigorous-intensity physical activity. For example, Fitbit calls this measure active minutes. They include a daily goal of 30 minutes of this enhanced level of activity, which is recommended to reduce health risks. If 3,000 of the steps you take each day are at a pace of 100 per minute for at least 10 minutes, you will meet this goal. Even a small increase in steps per day above being inactive can make a difference in health. Numbers as low as 6,000 steps per day were shown to correlate with a lower death rate in men. But 10,000 steps can be too challenging for people who are elderly, sedentary, or who have chronic diseases. If losing weight or preventing weight gain is your top concern, you may need even more moderate-intensity physical activity, as much as 60 to 90 minutes most days of the week, according to the CDC. That would mean an additional boost to your step count of another 3,000 to 6,000 steps for a total of as many as 15,000 steps per day. Studies in an Old Order Amish community found that they walked more than the recommended steps per day and had very low levels of obesity. Experts view 10,000 steps per day as too few for children. Children need 60 minutes per day of moderate-to-vigorous-intensity physical activity, twice of what is needed by adults. The recommended number of pedometer steps per day for children aged 6 through 12 is 12,000 for girls and 15,000 for boys. How Active Are You Based on How Many Steps per Day You Walk? Catrine Tudor-Locke of the University of Massachusetts has been studying pedometer walking for many years. Her research established these categories for healthy adults based on the steps per day they logged. Sedentary Lifestyle Index: Under 5,000 steps per day is an indicator of being inactive and sitting too much, which raises health risks. Low Active: 5,000 to 7,499 steps per day is typical of daily activity excluding sports and exercise and might be considered low active. The average American walks 5,900 to 6,900 steps per day, putting the majority in the low active category. Somewhat Active: 7,500 to 9,999 steps per day likely includes some exercise or walking (and/or a job that requires more walking) and might be considered somewhat active. Active: 10,000 steps per day indicates the point that should be used to classify individuals as active. This makes it a good daily goal for healthy people who want a quick indicator they are getting in their daily exercise. Highly Active: Individuals who take more than 12,500 steps/day are likely to be classified as highly active. Instead of using a blanket 10,000 steps per day as a goal, some suggest your personal goal should be based on your usual baseline plus incremental steps. Adding 2,000 to 4,000 steps to your daily count will help you reach the recommended level of physical activity and increase your activity to burn more calories. For example, put on a pedometer or fitness monitor or carry your smartphone with you throughout the day. Go about your usual daily activities. Check your step count at the end of the day on the device or in a pedometer app. Do this for a week to find your average. You may note that you log only around 5,000 steps per day. Your goal should be to add the number of steps equivalent to walking for 30 minutes, which will be from 2,000 to 4,000 steps, depending on your walking speed. This is between 1 and 2 miles of walking. Your steps per mile are determined by your height and stride length. If your app or device logs active minutes, note those as well and aim to boost that number to 30 minutes per day. What Should Your Pedometer Step Count Goal Be? It can be daunting to set a pedometer goal of 10,000 steps and see yourself falling short most of the time. This isn't surprising, as the average American logs from 5,000 to 7,000 steps per day. But if you want to get enough physical activity to reduce your health risks and manage your weight, you should find ways to increase your daily pedometer step count towards a goal of 10,000 or more. Your goal can be an incentive to ensure you are getting 30 minutes per day of moderate-to-vigorous intensity exercise and reducing long periods of sitting. Adams MA, Johnson WD, Tudor-Locke C. Steps/day translation of the moderate-to-vigorous physical activity guideline for children and adolescents. International Journal of Behavioral Nutrition and Physical Activity. 2013;10(1):49. doi:10.1186/1479-5868-10-49. Tudor-Locke C, Craig CL, Brown WJ, et al. How many steps/day are enough? For adults. International Journal of Behavioral Nutrition and Physical Activity. 2011;8(1):79. doi:10.1186/1479-5868-8-79. Tudor-Locke C, Schuna JM, Han H, et al. Step-based Physical Activity Metrics and Cardiometabolic Risk. Medicine & Science in Sports & Exercise. September 2016:1. doi:10.1249/mss.0000000000001100. Does Pokémon Go Get Players to Walk More? How Many Pedometer Steps per Day Do Children Need? How Far Is One Million Steps?